HSK stands for Hanyu Shuiping Kaoshi (汉语水平考试) literally meaning “Mandarin Level Test”. It is organized by Hanban (汉办) the part of the Chinese education ministry also in charge of the Confucius Institutes (孔子学院). The HSK Exam is administered by testing centres around the world, including private language schools, universities and Confucius institutes. Exam questions and dates are the same everywhere in the world, however not all testing centres choose to offer the HSK test every month. Many students wish to take a HSK Exam in China for a number of reasons which range from finding their current level of Chinese, achieving a personal goal, or for future career progression. At LTL we help students prepare and arrange the exam with a number of programs and packages. We are a registered HSK Testing Centre from HSK 1 through to HSK 6. 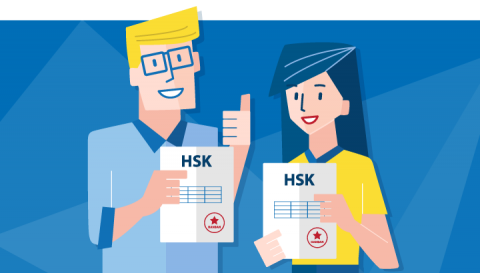 If you scroll down further, we created a brilliant and informative HSK infographic which should answer all your questions regarding the exam from the number of questions per paper to exam dates. HSK 6 – Ability to express whatever you wish either spoken or written. There are six HSK Exams in total. The exam is either taken on computer or written format. There is no speaking involved. You can actually take a Chinese speaking test, this is referred to as the HSKK Exam (note the extra K). There are three of these tests in total. Feel free to contact us to talk more about HSKK Exams. PLEASE NOTE – The cost of HSK Exam’s changes depending on the country you are in, these are the prices for taking the HSK in China. The HSK exam is split into sections. Listening, Reading and Writing (HSK3-6). Each section is broken down into a number of questions to test your ability in all forms of Chinese. You can choose to take either the written test or the computer test. 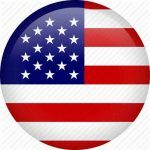 Generally, we recommend the computer test as you don’t have to physically write every character which can be hard for many foreigners. Using a keyboard to type the pinyin and automate the characters should be an easier way to score marks. The HSK 1 exam tests your ability to understand the basic Mandarin words and phrases. In the exam both Pinyin and Hanzi will be used. All the vocabulary, along with a test paper are attached in the PDF. To take the HSK 2 exam you will be able use basic Mandarin and apply this to complete simply tasks day to day. Likewise the HSK 1 test, Pinyin and Hanzi are both used. HSK 2 vocabulary and a test paper are attached. For HSK 3 exam there is no pinyin used. You will have to rely totally on your Hanzi skills to pass the test. You will be able to communicate daily for academic and professional purposes. Find the HSK 3 vocabulary and test here. The HSK 4 exam also comes solely in Hanzi with no Pinyin. You will be able to converse fluently in a number of different topics with native Chinese speakers on a day to day basis. Get the HSK 4 vocabulary here. If you are ready to take the HSK 5 exam you will be a fluent Mandarin speaker. You will also have the ability to read a Chinese newspaper with no problems. You will know 2,500 words, which you can download here. The pinnacle of learning Chinese as a foreigner. HSK 6 will mean you can converse any feeling or emotion you wish whether written or spoken. You can download all HSK 6 vocabulary and a test using the below link. Please note these are the prices for taking the HSK Exam in China only. The prices around the world will vary depending on your location. If you are taking the HSK in China the exam dates are always either on a Saturday or a Sunday. For HSK levels 2, 4 and 6 the exams usually starts at 9am and for levels 1, 3 and 5 at 1:30pm. Our HSK classes are taught by experienced teachers who know exactly the tools you need to pass your HSK Exam. You will learn the exact grammar structures, vocabulary and sentence patterns you need to put you in great shape going into your HSK Test. Your HSK Classes can be combined with Small Group Classes, 1 on 1 Classes and Immersion Programs. At LTL we can help you sign up for your HSK Exam and give you any other details, or answer any other questions you have about the exam. Our price list below is shown in Chinese Yuan (CNY). The LTL HSK Exam Preparation Kit aims to guide you through the process of passing the HSK Exam. The key to the exam is learning specific vocabulary and grammar that we know will be tested. Thankfully we are experts in this field so look no further. Our Preparation Kit will help create you a study plan, complete mock exams, prepare for the exam itself and help you through the payment process so you can get studying. The end goal is you passing your test. Assessment – Your assigned HSK Specialist will get an understanding of your current level of Chinese and give you a HSK Level to attain, from one through to six. Personalized study plan – Your plan will give you targets, strategies and mock papers so you have all the materials you need. Take Mock Tests – It’s time to see how you fare with last year’s papers. The following post has been brilliantly put together by Kathryn Miles, a U.S student who spent 2017 studying with LTL. Her progress in this time was impressive and there for all to see. Everything you need to know about the HSK Exam in one tidy graphic! Need to know how long the HSK3 exam is, or how many words you need to know for HSK5? Everything is here in our handy HSK Infographic. This was my fourth time in China and I could not ask for a better experience. Overall I felt the teaching was excellent and I would highly recommend this school to anyone looking to improve their Chinese. I really enjoyed my lessons at LTL Shanghai. I thought the learning environment was well tailored to my needs. All of the teachers I met were very good and I would recommend all of them to any students. This was my fourth time in China and I could not ask for a better experience. The program I choose to do was one to one for six weeks. I had three different teachers and this gave me a chance to experience difference teaching techniques. Although we did have breaks in between the classes, the course was intense. The school’s location was ideal as there were lots of coffee places and restaurants nearby and gyms too which students could sign up to. The classes were mainly taught in Chinese and I felt my language progressed. One area of improvement I would say is that at times due to peak season for two weeks I had to relocate my classes to coffee shops in the nearby area. Although I did not mind this, it was not ideal. Overall I felt the teaching was excellent and I would highly recommend this school to anyone looking to improve their Chinese. I really enjoyed my lessons at LTL Shanghai. I thought the learning environment was well tailored to my needs. I prefer cramming a lot of lessons in a short amount of time and LTL was able to provide me with a schedule that really suited my needs. I was taking classes 7 days a week, which was really great for what I wanted to achieve. They are truly adaptable. All of the teachers I met were very good and I would recommend all of them to any students. I do plan on continuing my studies with LTL in the future. If not Shanghai, I may want to explore Taiwan, as I have never been there before and am interested in seeing what it looks like. Thanks for all your help and thanks to the teachers and staff. How do I know my HSK Level? Your teacher will guide and assess your Chinese language level throughout your course with LTL. They will tell you what your level is and what exam you should be aiming to take. You can then prepare for this accordingly. Exams are taken at a nearby centre. We will provide you with the details when the test is booked. Why is the written test harder than the computer test? We believe the computer test is a favourable choice because it cuts down the chance of losing marks and points on your exam paper. If you take the written test you must physically write down every character. If you slip up, you lose marks. With the computer exam you type the pinyin and the characters will appear on the computer. Although you still need to know which character to apply you cannot get the script of the character wrong this way. If you don’t know the answer you can make an educated guess which can often lead to you getting certain questions correct where you may have otherwise failed. Do I have to take a HSK Exam? You are under no obligations to take any exam when you learn Chinese. An oral test or a speaking test is just a way of gaining a grade. If you need this on your CV for a potential job then yes, the HSK Exam is worth taking. If you have a personal goal and want to reach a certain level of Chinese proficiency, then yes why not take the test. Otherwise the choice is completely up to you.